Help your children set and achieve reasonable New Year resolutions. With the turn of the new year, people are swearing to stay true to their new year resolutions. Most people promise to start following a healthy lifestyle and set a positive example for their children to grow up with. However, they tend to forget that children can participate in said resolutions as well. After all, there are few opportunities in life such as these where you can teach your children to set a goal and help them to follow through with it. Choosing and setting resolutions for a new year is a way to encourage your children to plan ahead and stick to deadlines, as well as paving a path to a healthy lifestyle. It’s important to highlight that “healthy lifestyle” does not necessarily mean eating fruits and vegetables or exercising; it refers to leading a lifestyle where you regard yourself and your safety before everything else. It can also mean that you help others in any way you can or recognising the need to reach out when you are in need of help. Just recently, the American Academy of Pediatrics (AAP) released a set of guidelines of new year resolutions for children to try. The resolutions are divided by age group since responsibilities and tendencies change between preschoolers and high schoolers. Things such as cleaning up toys, eating two servings of fruit a day or always wearing a seatbelt in the car are easy resolutions for children to start with. It’s important to teach your children to set reasonable goals that are easy for them to meet. Setting impossible goals will only make your children feel like they have failed if they cannot do them or will not see the results. Remember, children do not have the same mental capabilities than adults and it is harder for them to process that a goal can take up to a year to achieve. 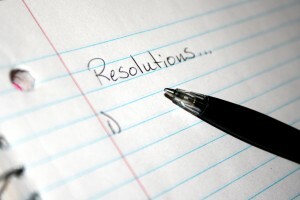 They need to see immediate results in order to keep motivated with their other resolutions. Preschoolers, especially, need resolutions that will form a path into habitual behaviour, such as brushing their teeth, washing their hands or cleaning up after playing. Assuming children have already been formed by habits, the resolutions become more ingrained in their routine and important as they grown older. We have mentioned many times before that expats are at a higher risk of mental issues due to a lack of a familiar support system to help them through hardships and new cultures. Children are especially vulnerable with these types of changes and often struggle to speak up about them. One of the resolutions – through all age groups – that the AAP suggests children try is speaking to a parent, or any trusted adult, when they are feeling stressed, in trouble or scared. For expat children this is an especially important one to slowly incorporate into their lives. Feeling different, left out or unable to make friends in a new setting can take a toll on their mental and physical health. Teaching them from a young age that speaking to a parent about their troubles is good, and setting it as a resolutions so they stick to it, is crucial for a healthy development. Don’t forget to encourage your children to adopt healthy habits as well, such as exercising, watching less television or even wearing a helmet when riding their bike. Dr. Gayle Schrier Smith, a spokeswoman for the AAP, points out that parents need to help children reflect on what they accomplished during the year and help them build upon it for the new year. Children, teenagers and adults are often too busy with life to sit down and think about how to become a better version of themselves, which is why creating resolutions is a great way to start a path towards their own wellness.